To kick off my blog I would like to start with a review on the live-action adaptation of one of the most memorable Disney’s classics – Beauty & the Beast. This long awaited movie premiered on February 23rd in London but came out in the cinemas in most countries across the globe only last week. 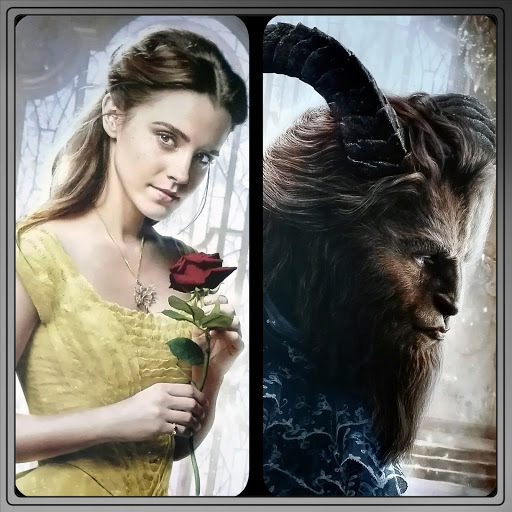 Beauty & the Beast was directed by Bill Condon and is starring the breathtaking and talented Emma Watson as Belle, Dan Stevens as the Beast and Luke Evans as Gaston in the leading roles. Furthermore, the entire cast of the film was an ensemble of amazing talents of the movie industry including Academy Award Winners Kevin Kline as Maurice and Emma Thompson playing Mrs. Potts. Further names being part of the movie included among others Sir Ian McKellen as Cogsworth, Ewan McGregor performing as Lumière and Stanley Tucci as Maestro Cadenza. Having watched the movie in the cinema last week I would like to briefly go over the names mentioned above in order to highlight how in my opinion those people contributed to the entire movie. A film being a piece of art has always a lot of people working on it, having for the most times a director orchestrating everything from the beginning till the end. In this case, the job was done by Bill Condon, who I really had mixed feelings about before the movie was released. In my opinion Bill is rather a talented writer, having won an Academy Award back in 1999 for a biographical motion picture “Gods and Monsters” starring Sir Ian McKellen and receiving an Oscar nomination for Best Adapted Screenplay for the 2002 musical “Chicago”. However, in my opinion being the director of the two final Twilight movies made him not an obvious choice for this job and I was actually picturing someone like Baz Luhrmann or Tom Hooper to step in. Nevertheless, Bill did a very good job which will hopefully give him the chance to direct many more amazing movies in the future. I believe his most important achievement in this particular film is the selection of this cast and crew and setting an ideal place and atmosphere for the actors and actresses to express themselves and thus reach their potential. Together with his team Bill perfectly transformed all of the animated characters into their live-action counterparts, having actors perform as true to the animated characters from 1991 as possible. Seeing the film makes you realise that Bill put his heart and soul into this movie and definitely remedied for his not so rewarding journey into the “Twilight” saga. Motion pictures heavily rely on performances by actresses and actors in order to grab for the stars and gather a round of praise. As mentioned earlier Beauty and the Beast has an amazing cast filled with extraordinary talents. This however does not always contribute to the success of the movie, but it did the trick this time. Emma Watson portraying Belle was an ideal choice for this role since she expertly displays the essence of Belle’s character being this beautiful but at the same time unique woman. There are parallels between Belle and Hermione Granger being beautiful but at the same time kind of odd girls who love to read. Obviously having years of experience with Hermione’s character, Emma had a straight road laid out exactly for her. Entirely new and unexpected was Emma’s striking singing performance which caught me off guard and made this movie even more memorable. Who could have imagined Emma singing so well while portraying Belle so close to its original animated character! As a partner in crime working together with Emma Watson on this wonderful film, we have the British actor Dan Stevens. Dan is most notably known for his portrayal of Matthey Crawley from Downton Abbey TV series. I was actually not really familiar with his work prior to Downton Abbey and cannot tell you much on his previous endeavours. However, his recent performance in the Marvel’s TV series “Legion” with the first episode premiered only one month before Beauty and the Beast, caught my attention. Playing this slightly deluded but powerful mutant in Legion, Dan really impressed. After seeing his performance in Beauty and the Beast taking into consideration his work for Legion made me realize how versatile and talented Dan really is. In addition to his masterful acting skills Dan has a very powerful and a very good voice which is reminiscent of the animated character from 1991. As you see above in my opinion both lead actors left a memorable performance true to the original characters from the animated Disney’s flic. Aside from that all other performances were absolutely outstanding. Most notably are the works of Kevin Kline playing Maurice and Luke Evans portraying Gaston. Luke Evans plays this funny and at the same time self absorbed, even cruel human being. Similar to the animated film Gaston see’s Belle as a possible possession and conquest. He feels attracted to Belle mostly due to the fact that she is absolutely not interested in him. Luke took all these qualities of Gaston and brilliantly portrayed one of the most repelling Disney characters. Kevin Kline was superb in his role as Belle’s father, though his performance was the only one slightly different from its depiction in the original from 91′. In this current live-action version of Beauty and the Beast – Maurice, as portrayed by Kevin, is more troubled by his past and leaves not such a shiny and happy impression as we had from his animated counterpart. Summing up, the entire project team of Beauty and the Beast, with its superb cast and crew delivered a fantastic movie which will be remembered in the years to come. Having a score of 65 on metacritic.com and a 7.8 on IMDB.com the movie positions itself well above average, receiving positive critics reviews an. Its performance in the box office, gathering over $174M in the opening weekend in USA alone, clearly indicates an increasing interest in this adaptation and underlines its successful transition from animation into live-action. We’ll have to see later about the movie receiving nomination for film awards, but I will gladly follow this subject and will post something worth mentioning later on. If you are interested in finding out more about Beauty and the Beast, I suggest you visit the very informative IMDB.com database by using the highlighted hyperlink. I am finally at the end of this first review, which got slightly bigger than indented at the beginning. Please let me know if you’re missing something in this article or would like me to focus on next time I will be writing about a movie. I would like to point out that the entire review above demonstrates only my personal opinion of the film. I encourage everyone to leave comments in the comment section and I am looking forward for your feedback. Hope you enjoyed my article!